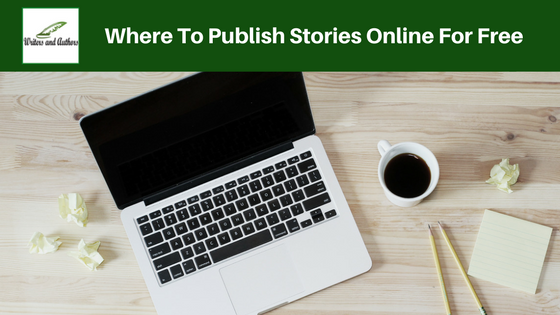 Today's post is in reply to a question about where to publish stories online. Find someone else to publish it for you e.g. an ezine editor. There are huge amounts of ezines and website that publish short stories and many pay professional rates too. A simple search on google will give you a selection of places that are open to submissions. Self publish. You publish your work and make it available online. Let's take a closer look at the second option. In this case, the answer that automatically comes to mind is to create a blog. You keep all the rights to all work published on your site and get to present it just the way you want to. You can personalise the look of your site so it's the perfect match for your stories or design it so it expresses your personality. 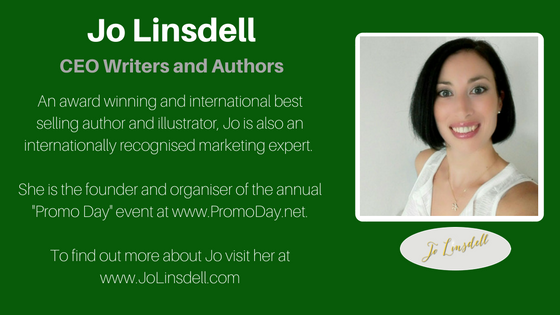 If you want to create a professional showcase for your writing you might want to consider getting a domain name and setting up a website with professional hosting. Booksie.com This site offers the chance to post your stories online for free. You retain the full rights to your work and can get feedback from readers. You can find out more about how it works here. StoryWrite.com Again, completely free to use. You maintain ownership and copyright to your poetry, stories, or other original works of art you upload to their sites, including the right to publish it elsewhere. They also have contests and writing groups on site. StoryStar.com A family friendly site where you can post your stories to be read and rated. Each month they select a story from each category to give extra recognition to and the stories with the most votes/readers also get highlighted. As with the others this site is completely free to use. If you want to make some money from your stories consider publishing them as ebooks. Again you have various options. A popular way to go about it is by using a site like lulu.com or Amazon's kindle program to self publish your work and make it available to the public for purchase. Have you published you stories online for free? Which route did you take and why? More than simple narrations, you can choose to publish living texts. As each new chapter is published, your subscribers receive a notification by e-mail. In that way, they can follow the development of your narrations as they evolve and through the forum of your livebook, share your impressions with your readers. Earn money by selling access to your texts, choose the price and the currency, get the payment of your committees on your Paypal account. Increase the impact of your writings by customizing the appearance of your livebook and by styling the characters. They share the advertisement revenue based on pay per view. They accept stories too. potatopublishers.wordpress.com, publishing short stories and poems from new up and coming authors who need a place for their work to be appreciated. Unfortunately there is no payment to the authors as it is running on a free hosting site, but it is a place where people's work can be appreciated. I find www.qfeast.com simply gorgeous for story writing. It's much easier easier, free and you can write your owned stories, create scored quizzes and personality quizzes, polls, questions, groups. hi.. good idea for beginners.if you want and getting nerves.you could start with free blog sites like www.agryd.com and share your post with your friends to review it. this process will help to build confidence level and avoid silly mistakes . also get and apply professional tips for better performance. I am currently writing in Booksie.com. its free and really there is appreciation for work. For autobiographies, you might try irecordmystory.com. It costs $5 for your own site with your own subdomain name. If you have a speculative short story/novel, Nuff Said Publishing is a recently launched press accepting submissions. I prefer to self-publish my E-books I recently use Draft2Digital. It's a simple risk-free E-book publishing platform where you can easily publish books to desired vendors. Such as; Kobo, Scribd, Page Foundry, and Barnes & Noble Nook. Their site can walk you through publishing your content. And they also had a distribution with Create Space,--where you can publish your book in paperback format, that way, if some people don't have an E-reading device; they can read a print copy. I've done some publishing on Issuu but I don't really recommend that site. It's hard to get readers for your stories and the published stories aren't SEO-friendly. You will find this site amazing to share your stories and received by huge audience. thank you for your post! I’ve read on this subject a lot, and I’ve kind of gave me a different prospective. I personally take ideas and resources on Keep going, I am sure many people will find it helpful. Hi! I wish you to know that I am one of those people who enjoy writing stories for fun, so I think it will be great to share my creations with the other people. Why not. I am not afraid of criticism! Thanks to you, I would like to choose Booksie.com site for a start! It is great that I can retain my full rights to my works! Hope I enjoy using this site! I must say it is a superb post. You might want to meet the classic author duo L. Hart and Olivia Rupprecht who have already created a classic novel before: "THERE WILL BE KILLING". The new novel I am talking about is titled: "Making a Killing"
Some other sites include fictionpress.com and ratemywords.com . The second one is not very popular, but there is a 5-star rating system and a way to read, write, and receive feedback on short stories, songs, poems, etc. FictionPress is for basically anything you want to write as long as it is within the guidelines. I recommend Short Stories 101. Great website for anyone to submit their story and receive readers' feedback. This is useful for young and aspiring writers and bloggers. If you have already learned to appreciate the time, then I advise you to do more useful things for you http://www.proficientwriters.com/online-jobs. My first experience in writing professional articles I got here, and very happy about it.